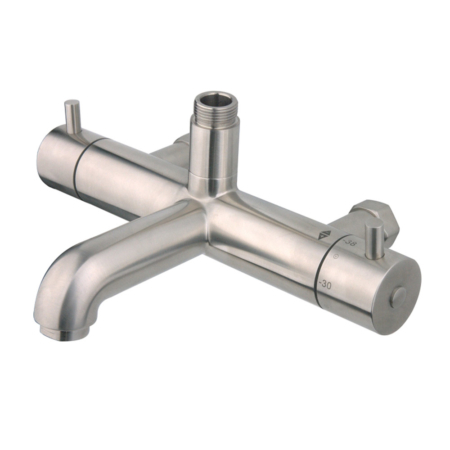 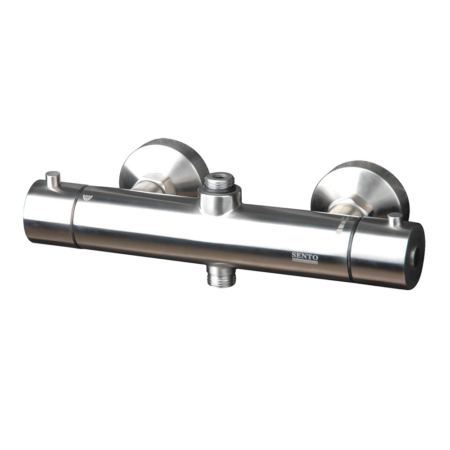 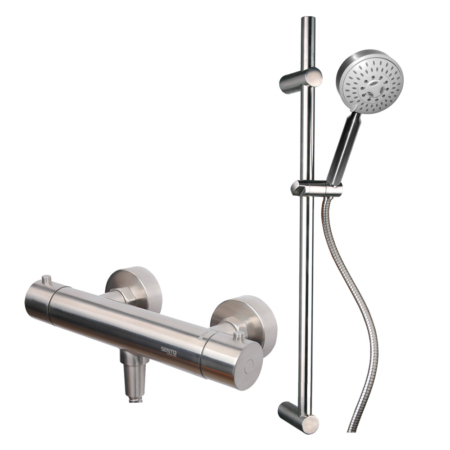 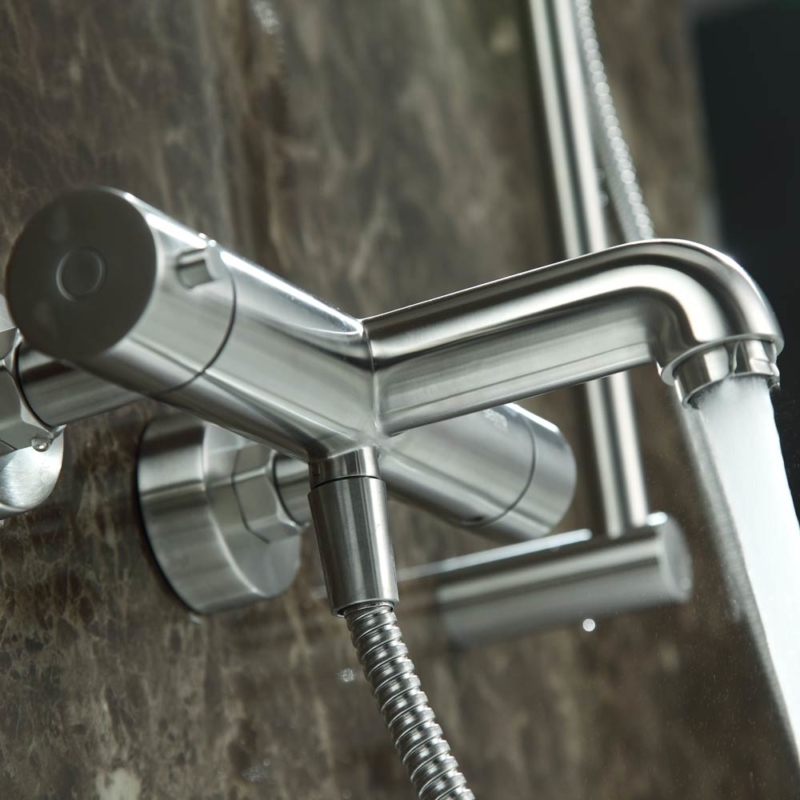 The thermostatic shower system consist of tub filler and a hand held shower with slide bar. 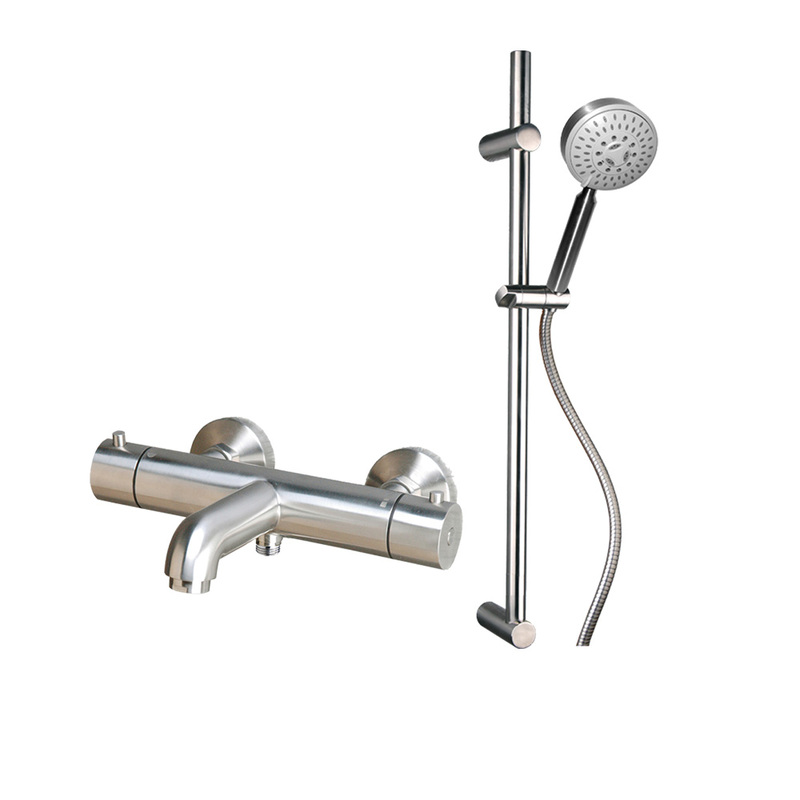 the version here is solid stainless steel thermostatic shower system which means excluding the hand held shower head, the rest are all stainless steel. 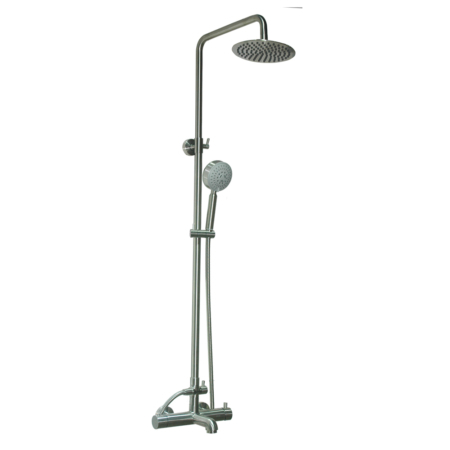 if you like all metal hand held shower head, you can choose another version.